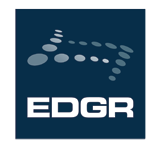 With more than 15 years of experience, EDGAR®Online is a leader in helping professionals uncover intelligence from financial disclosures, offering distribution of company data and public filings for equities, mutual funds and other publicly traded assets through online subscriptions and data licenses. EDGAR®Online is uniquely positioned to leverage proprietary technology to create robust, timely and accurate data sets, distributing high quality, interactive financial data and services to the investment community. EDGAR®Online works with over 100 of the leading financial portals and data providers in the marketplace today. Some of these industry leaders include Yahoo Finance!, OTC Markets, NASDAQ, D&B, Thomson Reuters, LexisNexis and Interactive Data Corporation.